SWCAHEC supports veterans’ health needs and has provided continuing education opportunities and support for local providers in addressing physical and mental health needs of our local veterans. 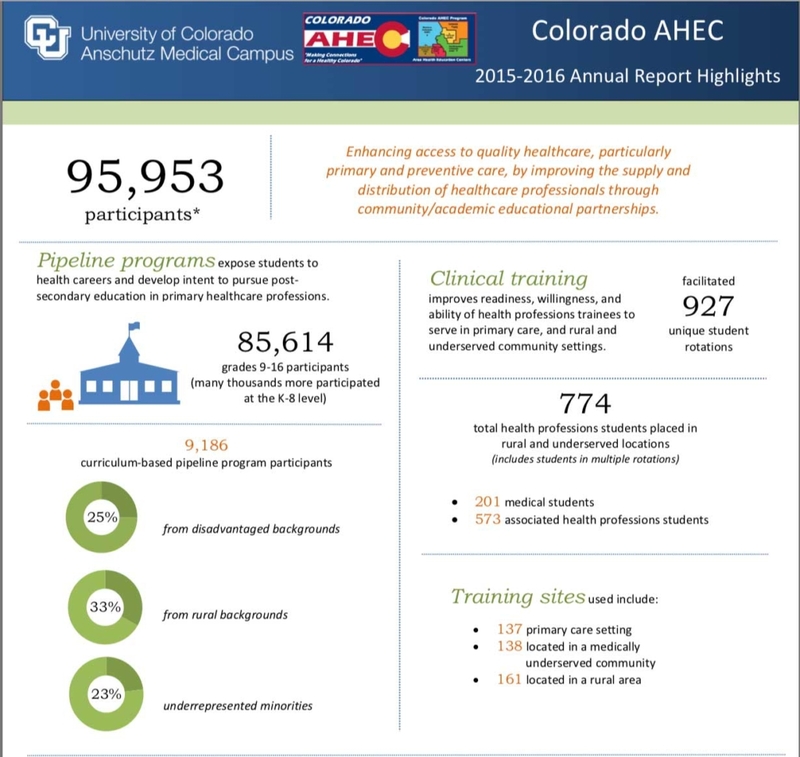 Beginning in 2013, SWCAHEC worked to educate healthcare and community service organizations about the Affordable Care Act, providing education, support, and advocacy, contributing to the increase of the numbers of those insured. At that time uninsured rates in the region averaged 20-30%. By the end of our grant in 2015, the percentage of un- and under-insured individuals (all ages) decreased throughout the region. Lake City most recently reported an 11.8% uninsured rate and Pagosa Springs’ rate is 13.9, and 10.2 percent in Silverton. The average uninsured rate dropped significantly in the region to an average of 10.2%. In 2014-2015 SWCAHEC compiled the first-ever health needs assessment for the Ute Mountain Ute Tribe in Towaoc, which included surveying 430 tribal members, and holding 28 key informant interviews over five months. The final report was presented to Tribal Council in November 2015, which they use for program planning and grant writing purposes. 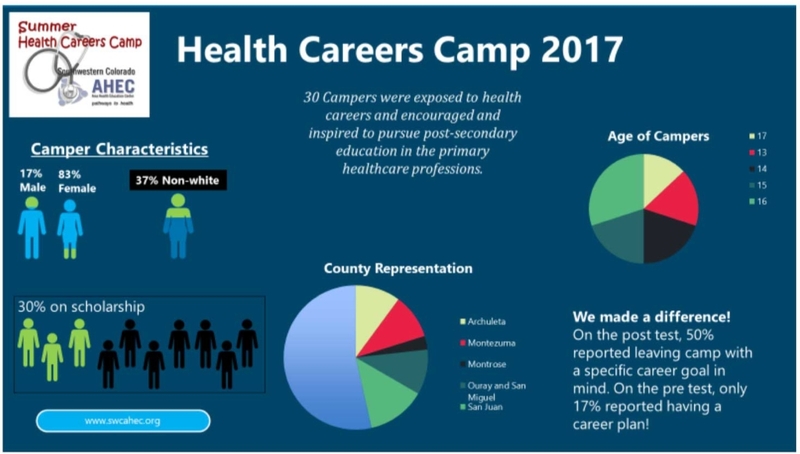 In 2017, SWCAHEC assisted Dolores County Public Health in producing their Community Health Assessment for the development of the Dolores County Public Health Improvement Plan. The 2017 camp was a great success! Thirty campers from around the region stayed at Fort Lewis College for 4 days of learning about health careers. See the Infographic for our results.